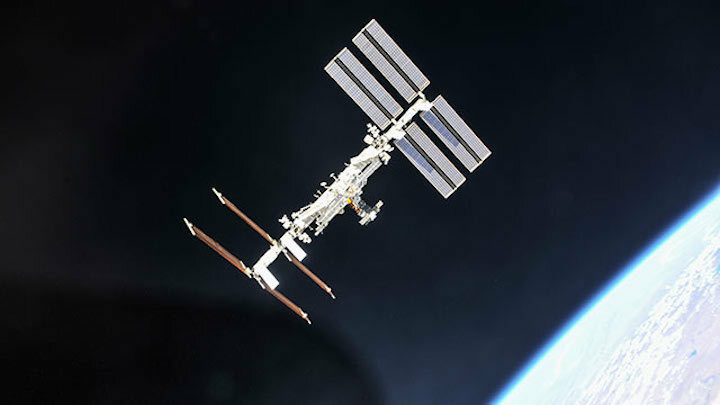 A new Northwestern University study has found that — despite its seemingly harsh conditions — the ISS is not causing bacteria to mutate into dangerous, antibiotic-resistant superbugs. The study was published today (Jan. 8) in the journal mSystems. Hartmann is an assistant professor of environmental engineering in Northwestern’s McCormick School of Engineering. The ISS houses thousands of different microbes, which have traveled into space either on astronauts or in cargo. The National Center for Biotechnology Information maintains a publicly available database, containing the genomic analyses of many of bacteria isolated from the ISS. Hartmann’s team used that data to compare the strains of Staphylococcus aureus and Bacillus cereus on the ISS to those on Earth. “Pangenomic approach to understanding microbial adaptations within a model built environment, the International Space Station, relative to human hosts and soil” was supported by the Searle Leadership Fund and the National Institutes of Health (award number TL1R001423).